Dr. Daniel Lentz is a recognized interventional radiologist in San Francisco, California. He received his medical diploma from the Harvard Medical School in 1989. After getting his medical diploma, he did an internship in internal medicine at Massachusetts General Hospital. Dr. Lentz completed his medical education with a residency in radiology at Stanford University. He is certified by the American Board in diagnostic radiology and his subspecialties are: general radiology, neuroradiology, vascular & interventional radiology. 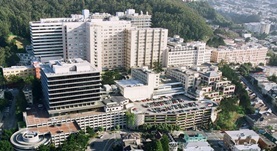 This doctor is affiliated with several hospitals in the area, including: St. Francis Memorial Hospital, St. Mary's Hospital and Medical Center, UCSF Medical Center and California Pacific Medical Center-Pacific Campus Hospital.